Summary of the project: I spent a month in Recife developing a campaign for Espaço da Criança designed to widen access to opportunities for young people from disadvantaged backgrounds so they can start building their professional future by raising awareness of the NGO’s apprenticeship training program among local companies with the view to secure sustainable investment. Dhatri works at UN Women in New York, on behalf of WPP, where she directs the Common Ground initiative launched by former UN Secretary General Ban Ki-moon in June 2016. The Common Ground partnership has brought together the six largest global communications conglomerates to help the UN achieve its Sustainable Development Goals and use communications to solve the world’s most pressing problems. In her role, Dhatri develops global gender equality campaigns with WPP’s network of agencies, and she works on UN Women’s flagship advocacy initiatives to advance women’s empowerment across a range of issues. Dhatri has a passionate interest in leveraging the power of communications to drive positive change and cares strongly about social issues, in particular those relating to inequality and social mobility. She is delighted to be working in a role where she gets to do this every day! Prior to joining UN Women, Dhatri completed the WPP Fellowship where she worked for several WPP agencies including Blue State Digital and Kantar Futures in New York, and the media agency Maxus based in London. Her clients included Massachusetts Institute of Technology, The Financial Times and NAACP. An experienced focus group moderator, Dhatri’s skillset includes qualitative research, multi-channel media strategy, and advocacy and fundraising expertise. Some of Dhatri’s previous initiatives to address social issues include launching an original, company-wide initiative called ‘The Big Debate’ at Kantar Futures, which continues at the agency today. This was a monthly discussion group where she and her colleagues discussed topical, societal issues, including cultural fit and unconscious bias, with the goal of inspiring ‘a new way of seeing’. Through a mix of guest speakers, stimulus materials and lively, provocative debate, Dhatri wanted to encourage her peers to consider social issues with a fresh perspective and to think about how they could use their communications expertise and network of clients to tackle such problems. Dhatri is passionate about empowering young people from underprivileged backgrounds through education and mentorship. She believes the lack of confidence and the lack of access to opportunities among people from disadvantaged backgrounds is a universal problem and it is something that communications can help solve. At Blue State Digital New York, Dhatri was inspired to independently develop and successfully pitch to the agency’s COO an original mentoring program focused on nurturing diverse talent in the organization. Dhatri was responsible for the recruitment, training and management of 22 mentors and mentees; mentors include the CFO, Head of New Business and several Account Directors. The mentoring program had an immediate, successful impact within the company and is now being rolled out to the agency’s global offices. Dhatri was born and raised in London and holds a BA Joint Honors degree in History and French from Oxford University. 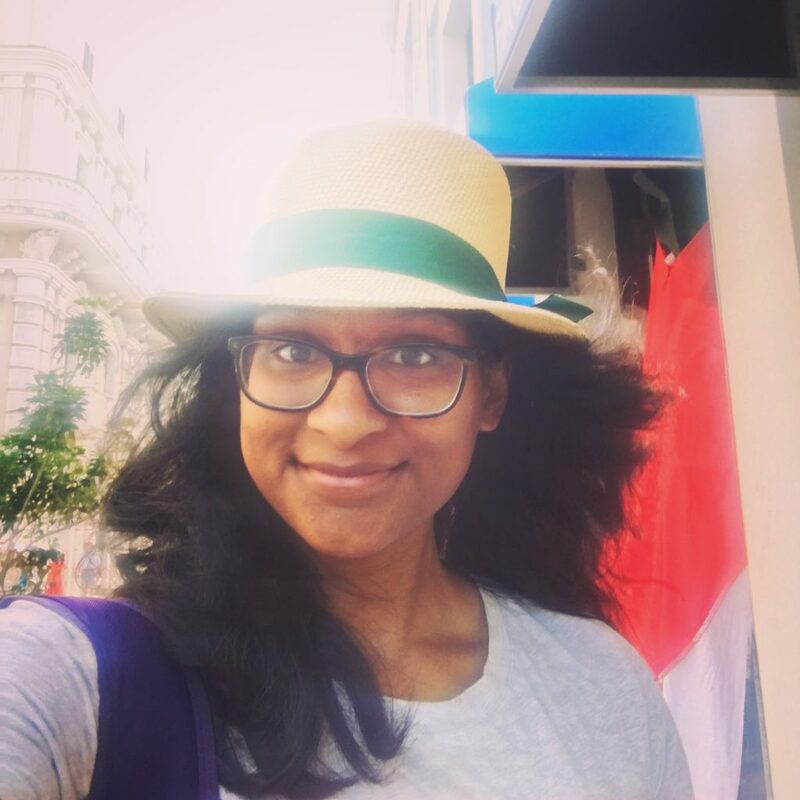 An avid linguist who enjoys meeting people from different cultures, she speaks fluent French and has worked and lived in cities across the globe from Dakar to Sao Paulo. At the start of her career she worked as a broadcast journalist at EU Radio Nantes, an award-winning French radio station, where she produced and presented live, daily European current affairs programs in French and hosted her own live music show! Dhatri enjoys exploring and living in a new part of New York every year and is a regular runner along the Hudson river. Having discovered a love for Danish television and film, Dhatri is currently stumbling and bumbling her way through the Danish language as a complete beginner! Dhatri spent a month in Brazil working with Espaço da Criança, a nonprofit that supports children who live in extreme poverty in underprivileged areas of Recife. You can read more about her project here.